You might be surprised to hear this, but great running options abound in Hong Kong, China. Yes, the city is crazily congested and hilly, but with a bit of effort you’ll be treated to some truly spectacular runs. 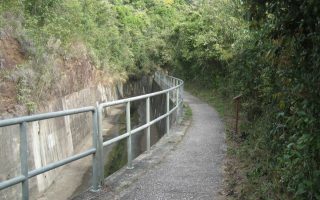 The “go to” option is Bowen Rd., a 4km trail easily accessible from Central. 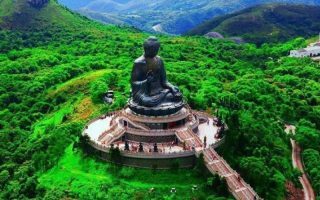 The other “must do” is the Peak Circle Trail, which is part a great network of trails on Victoria Peak, including the longer Hong Kong Trail. Running on the Happy Valley racetrack is one of the more unique runs out there. If staying at one of the hotels in Central, there is some pleasant running along the water in either direction of the Star Ferry terminal. 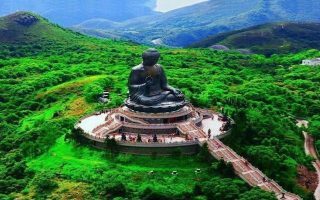 If you have time for an excursion, there is fabulous running on Lantau (also the location of the Hong Kong airport), accessible by ferry. Hop over to Kowloon on the mainland for some nice waterfront running and great views of HKI. 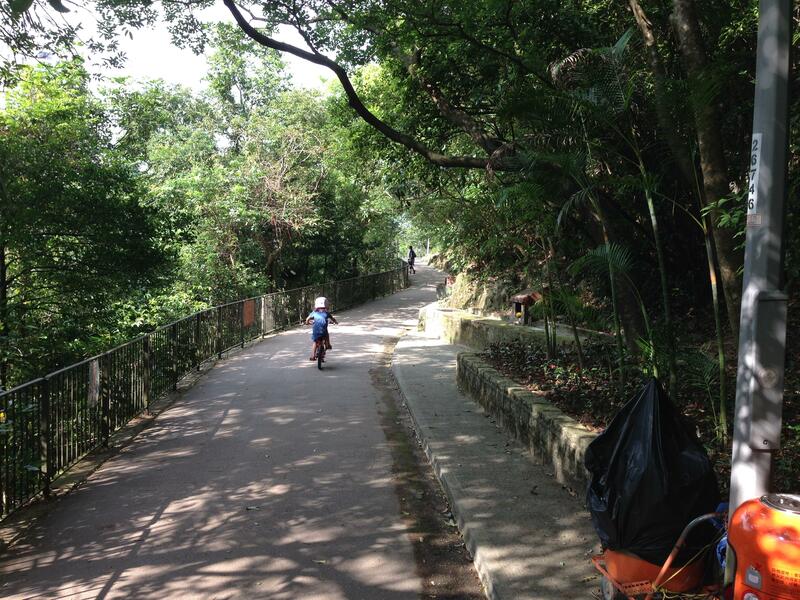 Runners who enjoy hills and trails will find particularly good options in Hong Kong. 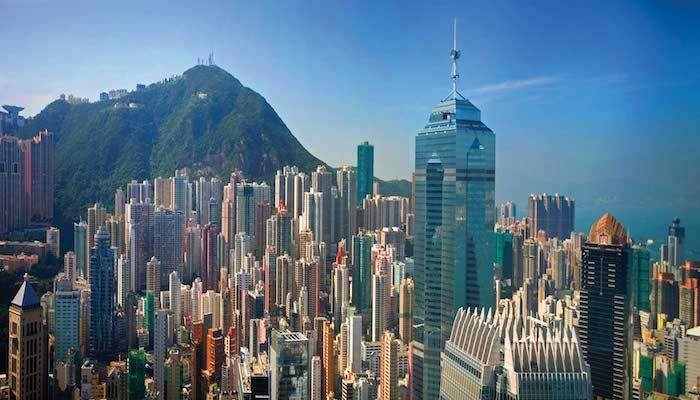 A bit of geographic orientation: most visitors to Hong Kong will stay on Hong Kong Island. “Central” refers to the business district where most of the hotels and offices are located. Most of our running options are accessible from Central or the Mid-Levels. The “mainland”, also known as Kowloon, is a short ferry ride away. There are some good running options there, but except for the immediate waterfront runs, they take some getting to. If staying on the island, it is very unlikely you will have a car. There is an extensive transportation system, with the MTR subway being the fastest and most efficient option. There are also buses and trams. The famous Star Ferry runs between HKI and the mainland, and there are ferries to other islands. The Peak Tram gets you to Victoria Peak, but it is a bit pricey and there can be queues. It is possible to run/walk/hike to the peak. We would like to add our thanks to the Namban Rengo running group in Tokyo for their tremendous help in connecting us with their network, who advised us on great running spots in Hong Kong. The signature run in Hong Kong. 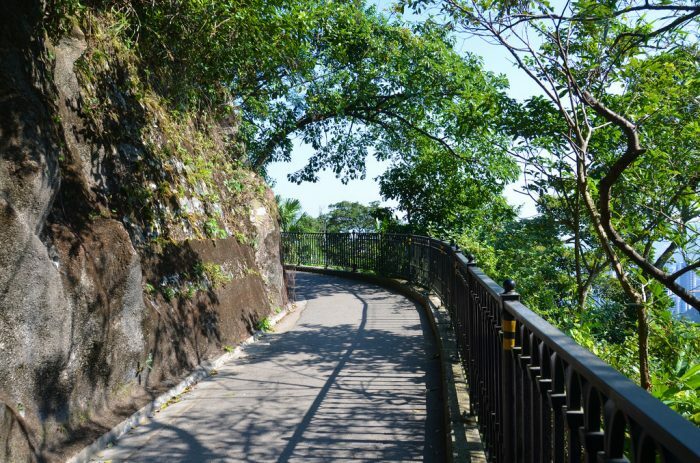 Carved out into the side of a hill, this relatively flat, paved path runs about 4k one-way, providing great views of Central and Wanchai just below. Running around Victoria Peak is one of the top running and tourist highlights of Hong Kong. There are fantastic views all along the 360-degree path. There are many options for running at Victoria Peak. 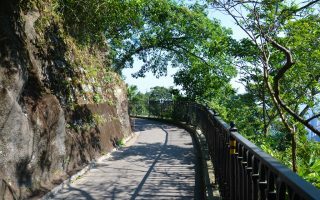 A wonderful run/walk/hike trail that runs a total of 50 km, consisting of eight ‘sections”, from Victoria Peak to Tai Long Wan. The first two sections, totaling about 5 miles one-way, are the most suitable for runners. There is some very pleasant and scenic waterfront running near Central. 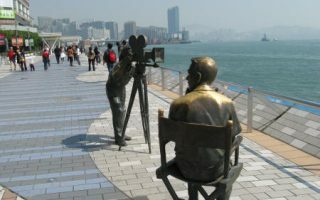 The best bet is the 3-mile waterfront path between Sun Ya Tsen Memorial Park and the Hong Kong Expo Center. 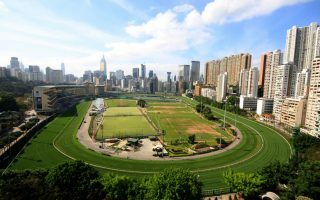 For some green and some track workouts, running the 1.4 km Happy Valley track at the Hong Kong Jockey club is a treat. There are great views of the Hong Kong skyline and the causeway. 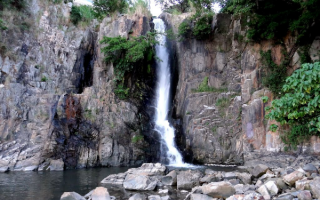 On the southwestern side of the island, a pleasant destination with nice falls, the Wah Fu estate, and views of Lamma Island. 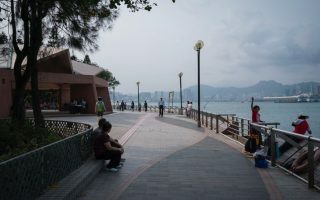 There are 1–2 km of promenade. Combine with the trails Telegraph Bay. A great excursion, adding some variety, is to hop the Star Ferry over to Kowloon and run along the waterfront. The waterfront is more seamless for running on the Kowloon site than on Hong Kong Island. Our guide is focused on Honk Kong Island. If you have time, running on Lantau Island is spectacular — but it’s a day trip. 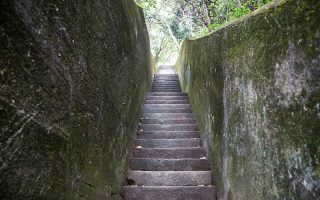 Best options are the Lantau Trail and Discovery Bay. Despite the incredible density, some 40% of Hong Kong is protected parks. There are some spectacular trail running opportunities — the Hong Kong Trail on HKI, and four long-distance trails on other islands and the New Territories. Geography and climate are the other defining elements of running in Hong Kong. Outside the waterfront, running in Hong Kong is hilly. As for the weather, the range is from mild to hot. Summers are uncomfortably hot and humid, with average highs around 90F from May through October. It does not really cool off at night. Winters are pleasantly mild, in the 60s and 70s during the day and much drier. 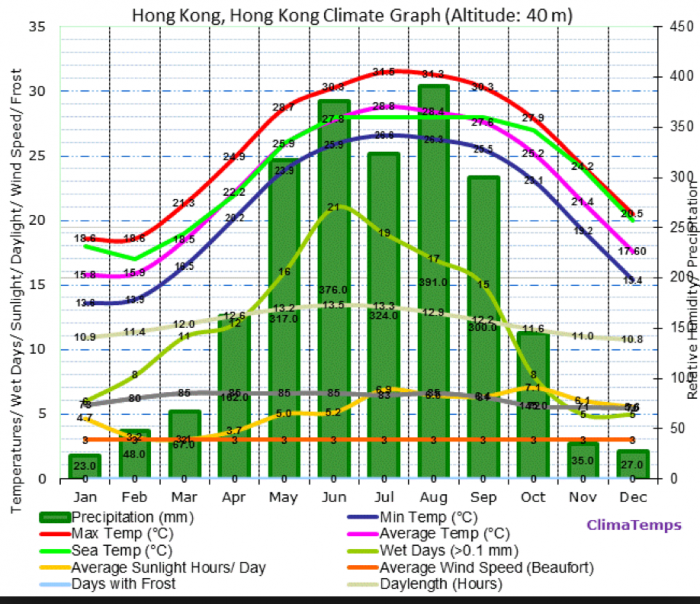 Hong Kong can be cloudy and very rainy during all but the winter months, with frequent tropical downpours. Smog can also be an issue. So be prepared, clothing and hydration-wise. Most of the hotels in Hong Kong are clustered on the north side, between the Mid-Levels to the west and Causeway Bay to the east. Pretty much any hotel will provide access to one of the runs in our guide, or to an MTR station that can easily get you there. Hotels in Central and the Mid-Levels provide the easiest access to Bowen Road and the roads and trails around the Peak. There are also lots of hotels to the east in Causeway Bay or Quarry Bay. They are more affordable. Good running options in that area include waterfront promenades in Quarry Bay; Sir Cecil’s Ride, which is a flat 2.5k dirt path between Quarry Bay and Fortress Hill that connects with the Wilson Trail; and the Happy Valley racetrack. This is Hong Kong, so there’s no shortage of places to shop. All of the major running shoe and clothing brands have a store centrally located in Hong Kong. On Hong Kong Island, there is Lululemon, Nike, and Fila. On the mainland, near the harbor in Kowloon, there are Reebok, Asics, Adidas, and Puma stores. Racing the Planet. Outdoor activity oriented store with lots of running gear as well. Great for trail running. Action X Outdoor Store. All sorts of outdoor clothing including great running gear. Sheung Wan and Causeway Bay locations on HKI and Discovery Bay on Lantau. Gone Running. One of the only specialty running stores in Hong Kong. In Wanchai. 1ok Running Shop. Also on Wanchai. Escapade Sports. Central, Casuseway Bay, and Repulse Bay on HKI. There is a friendly and very casual running group called HK Harbour Runners,every Wednesday evening at 7:45pm. They run either from TST clock tower to west Kowloon, or Central star ferry pier 7 to Kennedy Town. Distance is about 8km and there are different pace groups (5min/km, 6min/km etc). Hong Kong has a vibrant calendar of running events. Running event calendar #1 . Running event calendar #2. Of particular note are some unique trail running and ultra events. Hong Kong Runners is a great site for info on where to run, events, group runs, and other running resources. Great resource for trail running in Hong Kong: Trail Running in Hong Kong.